Journalists and content marketing teams can often face similar issues when it’s time to produce content. It’s easy to pitch a story to an Editor or a Content Manager, but that doesn’t mean every single idea is given the green light. It all boils down to the audience you’re writing for - you need to inform them about topics and news stories they have a genuine interest in. In the world of Inbound Marketing, it’s about solving the pain points of your Buyer Personas through that content. Still, there are certain processes used in the journalistic world that can be easily translated to your content team that allows your business to tell better stories in your content. At INBOUND 18, one of the talks we attended was Storyfuel Founder Melanie Deziel’s talk on how content teams can think like journalists to create better brand stories. The benefit of a content team thinking like journalists is that it can help them to think of better content ideas. By having that knowledge, they’ll be in a much better position when it's time to create engaging content. The key takeaway we took from Melanie’s talk at INBOUND 18 was that it’s more beneficial to paint a detailed picture than it is to simply state facts in content. To do that, the TRUTH acronym is what can help boost your content team’s journalistic storytelling. Here, it’s important to focus on evergreen content rather than timely content. While journalists are producing content about what’s happening right now before the news gets old and readers lose interest, your content revolves around topics that are relevant all year round. Or whatever the focus is throughout your entire 90-day campaign. It’s about educating readers, solving their pain points and deep diving into topics they’re interested in. A key element that needs to be implemented into the content your team is producing is to use reputable sources. It’s pretty much the same way a journalist would use a trusted source when publishing stories. Think about it, how many of us actually believe a story when the source is something like the Daily Star, Metro or even The Sun? Although they might have a high enough readership, it doesn’t mean they’re 100 percent trustworthy - the aim is to sell papers. 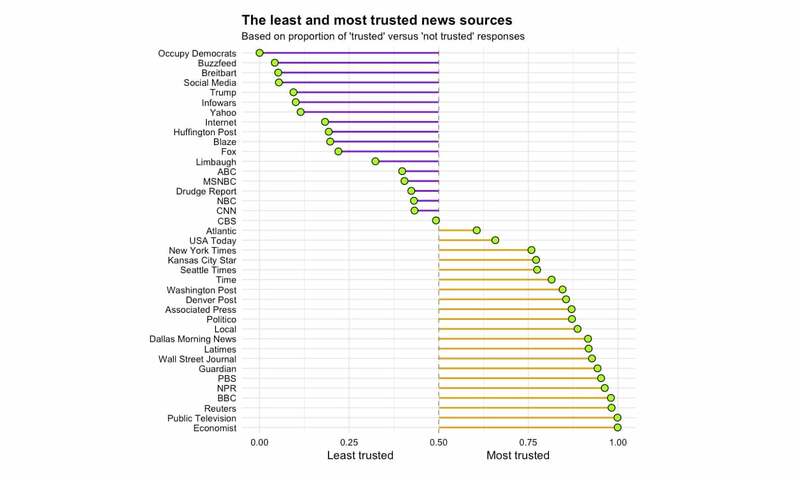 Instead, The Guardian and The Telegraph are seen as the more reputable and respectable sources in the UK. When your team is producing content to educate the readers, reputable third-party studies need to be used. Think Academia, studies and respectable influencers, for example. If you’re throwing in sources that have a poor reputation and are known for publishing ‘fake news,' then you could be driving your audience further away rather than becoming a leader in your industry. In order for content to stand out, there needs to be a unique angle or hook that sets your stories apart from the others. If we shift the focus back to journalists, sure, there are big stories that will often be the same in the majority of outlets depending on the story. However, it’s those with a unique or unusual angle that nobody else picked up on which stand out the most. Look to implement superlative angles in content and not what readers already know or expect - things that will surprise your audience. Is it the first? Is it the biggest? Is it the smallest? Considering news is driven through social media nowadays, it’s content that has a unique or unusual angle that gets the most interest and clicks. Not something that has been done over and over again and gets lost in the shuffle. Sure, Donald Trump becoming the US President was something that dominated the news - and rightfully covered by every outlet imaginable. But would you click to read that story, the one that’s been covered over and over, or the unique angle about the supposed rigged votes that got him there? The journey a reader goes through when reading content can’t be simple and boring, regardless of whether you’re a journalist working for a popular newspaper or you’re producing marketing content. That’s why you’ll notice that many stories get plenty of traction online because they’re heartwarming, heartbreaking or anything that raises a type of emotion. Your content can be taken to that next level if there’s some level of tension incorporated in there. You can link it to the previous element about adding something unique to your work, too. If there are readers coming across your content looking to have their problems solved, then they need to be emotionally invested in it to continue reading. A good way to implement that tension and get your readers emotionally invested is through asking questions, bringing up their pain points and any objections the personas have - as opposed to scaring them. The final element to consider when creating content is to keep that human connection in mind. Before you or your content team even dive into writing, it’s important to ask what relevance does this particular topic have for people? Plus, what impact will it even have on them? That human element is vital in any content-creating industry, especially since people relate to people. So, it’s vital to maintain that human touch and be relatable with the audience by sympathising with them and showing that there’s a human at the other end that they can trust. To show just how big of an impact the TRUTH can have in content, see how Melanie incorporated the elements above to have an Orange is the New Black piece featured in the New York Times. There are real stories alongside the data. There’s the emotion that hooks you into it being a genuine story and the unique angle that can’t be found anywhere else. So, people are tempted to read. Keep an eye for product release blogs and check out other content from #INBOUND18 on our Instagram and Facebook story, Instagram highlights reel and Twitter. Join our private Facebook Group, Inbound After Hours, to chat about and share your learnings on all things Inbound Marketing.